You are here: Home » Forums » Fast 800 » Is this the same as the Newcastle Diet? Is this the same as the Newcastle Diet (https://bit.ly/2P220XT)? If so, then can anyone recommend a book / online resource for recipes using the allowed vegetables? 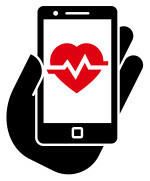 Hi dart1, yes this is based on the research by Prof. Roy Taylor of Newcastle University. Before Prof.T was able to finalise his results, as research projects can take years (an aside, he was supposed to publish in 2020 but has now published in 2018/19) Dr Michael Mosley took it upon himself to extract from that research for ways to reverse his own T2 diagnosis and hence we have the BSD and the book you might be interested in is the 8 Week Blood Sugar Diet. The main difference is that Prof. T was treating people who had bariatric surgery and were unable to tolerate large amounts of food and he based it around a 600 cal liquid diet. The accidently result was to notice that these people – some of them T2 – had their diabetes reversed. The liquid diet was very carefully monitored and exacting as to nutrients, carbs, proteins etc, so not the stuff you buy in the chemist. Dr Mosley increased the calories to 800 and found real foods could be used while still keeping to that low number. 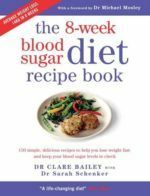 As I said, the book is the 8 Week BSD and there are recipes in the back of it but also you can buy the BSD Recipe book written by Dr Claire Bailey. This is the best book for staying with the BSD regime although there are lots of low calorie low carb cook books. I should also say, the success of this plan is our avoidance of white starchy carbs, processed foods, sugars and anything that claims to be low fat or low calorie (like yoghurts) and fizzy drinks with sweeteners. Hope that helps. Another good resource if you want to look on line is http://www.dietdoctor.com for a comprehensive breakdown of low and high carb fruits and veg and recipes too.